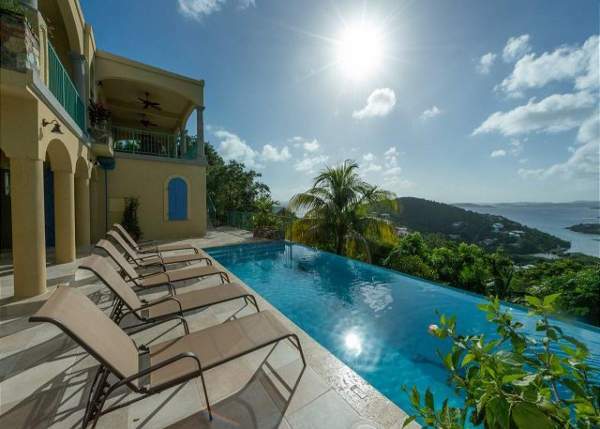 These are the 103 most popular villa rentals in St. John. Narrow your search above. Cliffside villa with ocean access and a guest cottage. 2, 3 & 4 BR rates available. 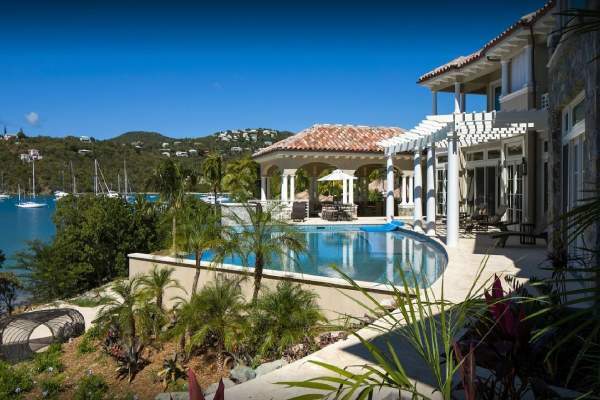 You'll love A La Mer's enormous pool and deck, when you're not snorkeling at Great Cruz Bay 8 BR rate available. Secluded, multileveled home with tons of space and stunning views. 1, 3, 4 & 5 BR rates available. Two-story villa with stunning views and two equal bedrooms. 1 BR rate available. 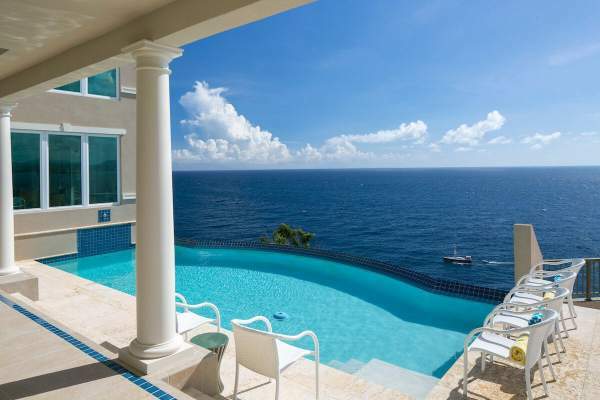 Spacious villa with views galore and a private infinity pool 1 & 2 BR rates available. Perfect for honeymooners, you'll enjoy all the amenities offered at Reef Madness 1 BR rate available. 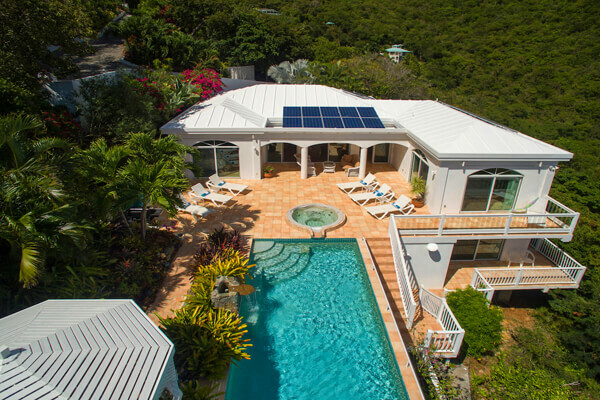 Enjoy a bird's eye view at this spacious St. John villa perched on Contant Point 1 & 2 BR rates available. Four king suites and a multi-leveled lounging area outside. 1, 2 & 3 BR rates available. 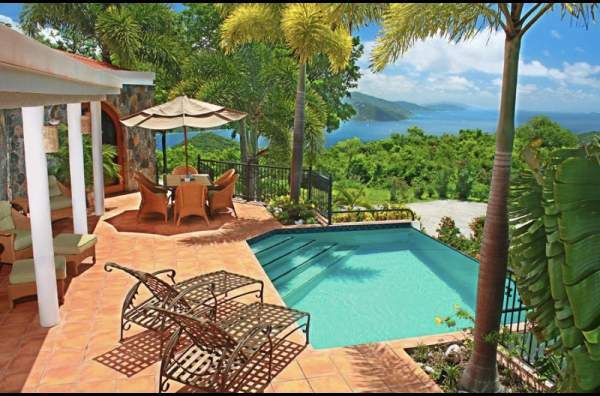 Looking to rent a villa in St. John? 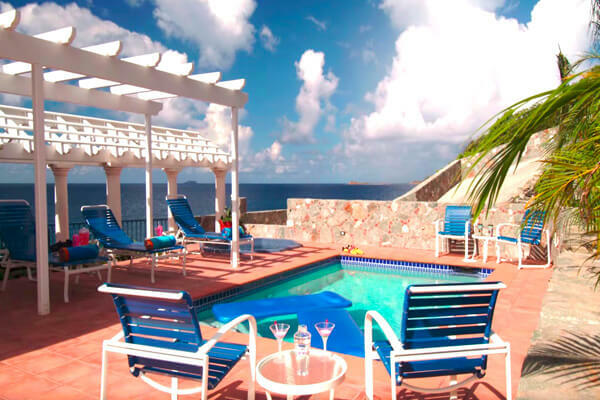 Planning a trip to St. John, US Virgin Islands? We have collected an extensive listing of villas for rent, most personally verified by our villa experts. 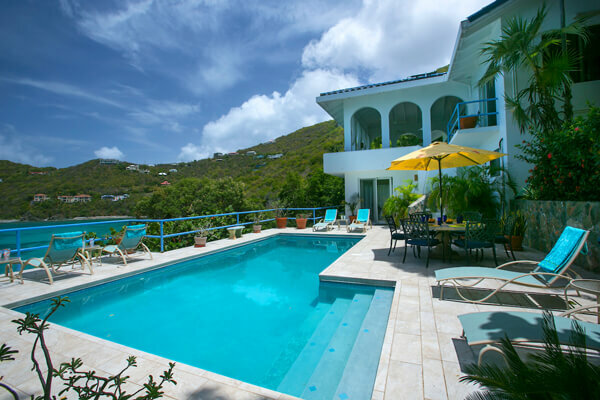 If you want to enjoy your vacation in a relaxing environment with all the comforts of home, then a St. John villa is exactly what you need. 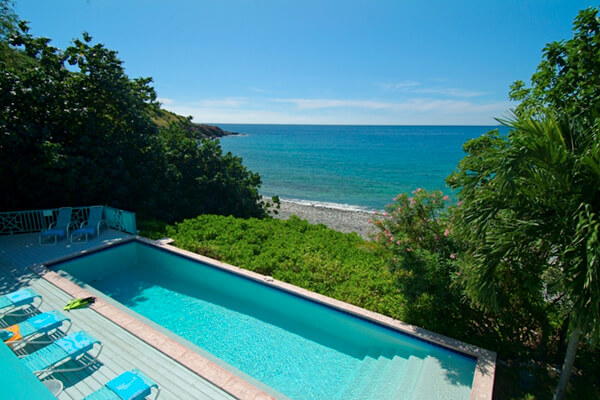 With so my of the island protected by National Park, the private villas are often secluded and spectacular. 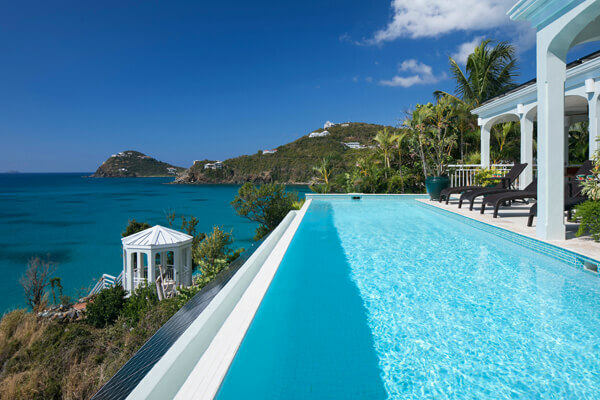 Ideal for couples, families, and friends traveling together, these private villas offer space, seclusion, and easy access to the attractions on St. John. 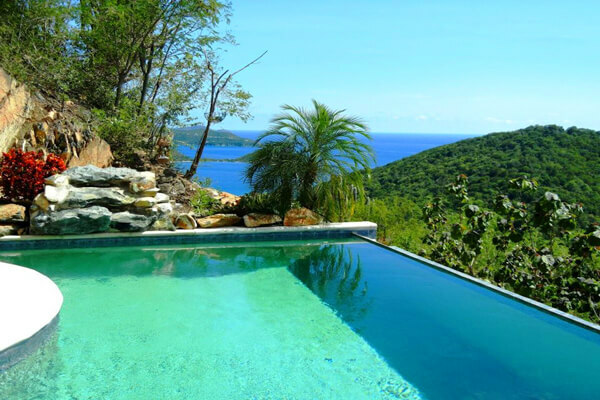 Check out Jungle Stone Villa for a private, peaceful setting with great views of the Caribbean Sea. What's special about St. John? As part of the U.S. Virgin Islands, St. John is unique in its “American” style, ecologically friendly attitude, and its miles of scenic national park land. This is the smallest of the three main islands that comprise the USVI, and about 2/3 of it is protected park land, with miles of hiking trails among the trees, cacti, and other tropical plants. St. John is definitely less developed than the other islands, so if what you want is peace, quiet, and tons of natural beauty, then this is the place to be. As mentioned, hiking is a favorite activity on the island, and there are lots of paths and trails to enjoy, or you can just take a stroll along the beach and enjoy the view. St. John also has something that the other Caribbean islands don’t - snuba. A combination of snorkeling and scuba diving, snuba is a fun way to check out the underwater sights the island has to offer. 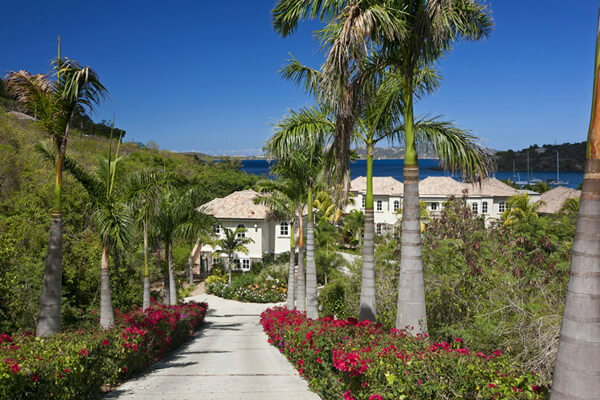 St. John is definitely all about enjoying the outdoors, but that is not to say that visitors won’t be able to partake in some excellent shopping, dining, and nightlife while on the island. Cruz Bay is a fun place to be day or night, and there are numerous shops on the island featuring jewelry, clothes, and other souvenirs to help you remember your tropical beach vacation. Restaurants serving up delicious Caribbean fare are plentiful, and the bars are open late to keep your party lasting well into the night. 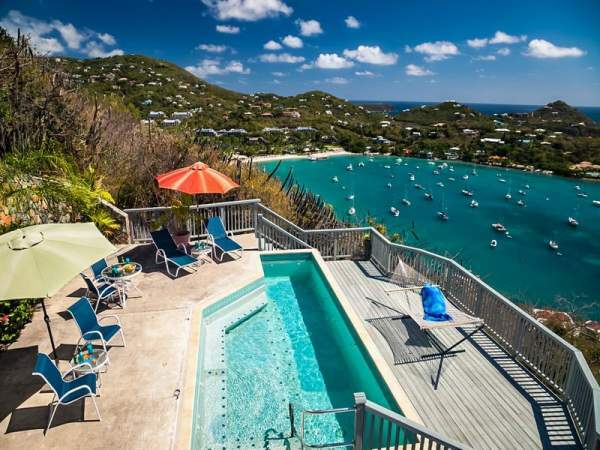 While St. John does offer up villas or resort hotels for travelers to stay in, the island also features unique Caribbean campgrounds, or tent resorts. These beachfront areas have permanent canvas structures, food, supplies, and water sports on-site. While it’s a different take on the traditional hotel or resort, these campgrounds are environmentally-friendly, affordable, and give guests a closer connection to the island itself. Don’t worry if you’re not a camper; there are plenty of villas for rent as well, where you’ll get the comforts of home along with amazing views and island breezes. The hotels on the island, although fewer in number, offer a variety of accommodations and amenities to suit those travelers looking for room service and restaurants on-site. 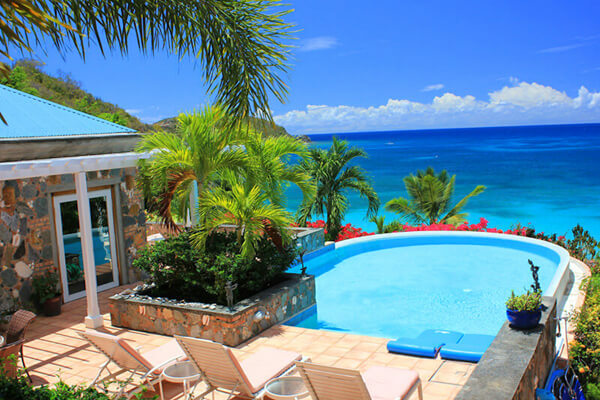 Perfect for outdoor enthusiasts, beach lovers, or for those who just want to lounge around on a cool, laid back island, St. John is a Caribbean gem that will meet all your vacation requirements.